Klick has experts on hand to discuss your project. 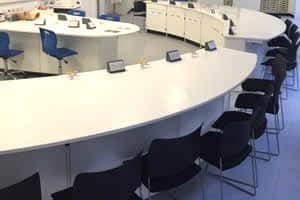 We have over 35 years’ experience in educational furniture and are happy to share our expertise with you. Initially we listen carefully to your ideas and discuss your brief in as much detail as possible. We want to identify your current challenges, your concerns and how you plan to use the room. We will discuss different materials and price implications, what layout options are available and the number of pupils you aim to teach in the completed room. We then guide you through the design process, advising you on DfE recommendations/regulations and DDA requirements, making sure you have all the information you need to aid the decision making process. We aim to offer an innovative solution which is within your budget and offers good value for money. Preparation and planning are key to the success of any project. At Klick we take a great deal of care to ensure we interpret our clients’ aspirations correctly. We balance these with our knowledge to deliver the highest quality projects, on time and on budget. Throughout the consultation process, design, procurement, implementation and finally to handover, we manage and control every stage with care and precision, to enable our clients to continue to concentrate on their normal day to day activities. 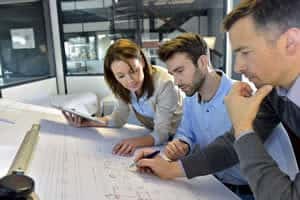 We are able to provide our clients with an experienced and caring team to ensure that design integrity is met, costs are controlled and the quality of the finished project meets our exacting standards. Our approach is one of partnership with our clients which ensures good levels of communication and realistic planning so that our clients are not faced with any unexpected surprises at the end of the project. In order to ensure the smooth-running of all our furniture installation projects it’s vital we operate under a set of project procedures. Having received the order and checked the client’s requirements and expectations exactly, we will visit site to check measurements then agree and sign off layout. These drawings and detailed schedules ensure that all parties involved are working from the same set of drawings. Once the drawings and schedules are signed off and prior to ordering any materials, we produce an agreed programme of works for the project in conjunction with the client. We offer a nationwide service. All deliveries are co-ordinated from our 13,500sq ft manufacturing and distribution facility. The product is checked thoroughly by the warehouse manager both prior to and at the point of despatch to ensure the quality and specification of the furniture. 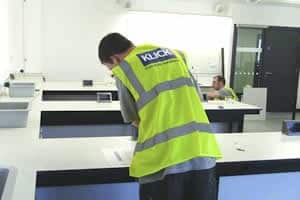 When on site Klick’s project manager and installation foreman are on hand to ensure that the project runs as smoothly and efficiently as possible. 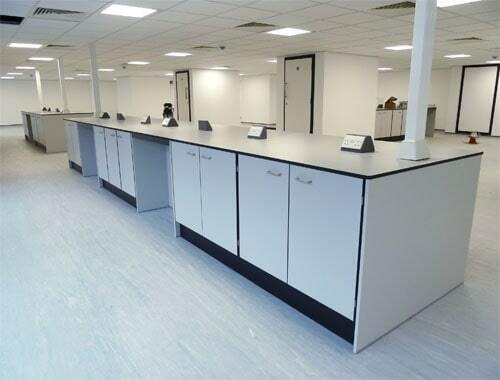 Klick co-ordinate a team of fully-trained furniture fitters and installers who are all CSCS registered and DBS checked to comply with regulations. 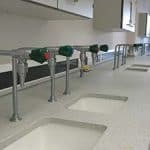 Post-installation, the project manager will have already identified any outstanding snagging items and will walk the site with the client to point out any issues which need to be resolved. This list will be agreed along with action points and dates by which these issues will be resolved. Any snagging items are dealt with as a matter of priority and as soon as practically possible. Once they have been dealt with, Klick’s Project Manager will once again walk the site with the client prior to final sign-off. Post-project, the designated account manager will be on hand to provide a central point of contact for the client with regard to any further issues or requirements. 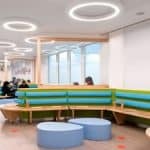 Our refurbishment service can transform any room creating ‘wow factor’ to inspire students and staff. Do you need help with CIF, Wolfson or Savoy Trust Funding Applications? 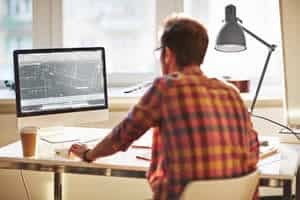 Klick Technology can help put a scheme together with design layouts and a quotation package to support any funding bid application. 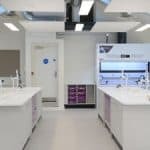 We can offer assistance in the design and planning of rooms in order to take advantage of the funding streams available from sources such as CIF, The Wolfson Foundation or The Savoy Educational Trust.